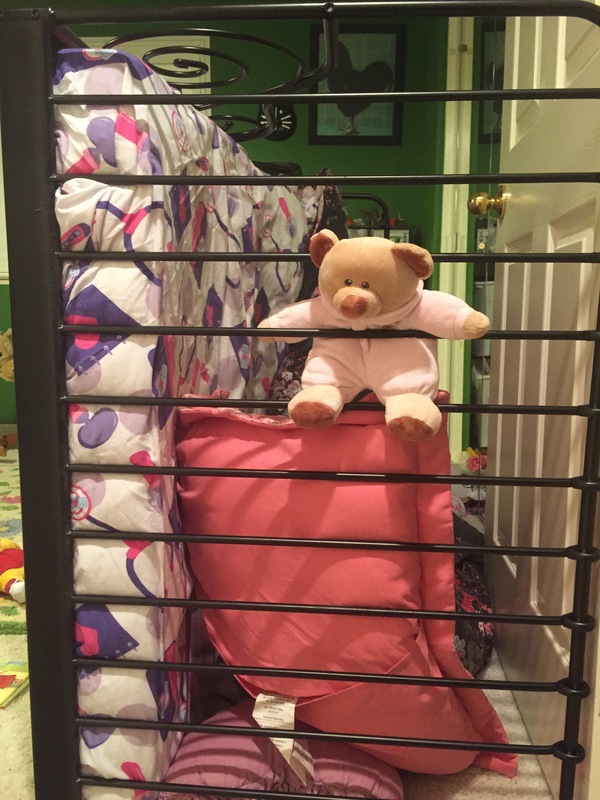 Pinkbear sometimes takes his shenanigans too far. So, yesterday Brontë got into an argument with Pinkbear (a little teddy bear in a pink hoodie who is normally a favorite toy). I asked if she wanted to bring Pinkbear to bed and she shouted, “No!” When we sat for story time, I perched him toward the book and said he wanted to hear the story too, and Brontë screamed “NO!” with angry cartoon eyebrows, then flipped him on his stomach so he couldn’t see the book. After story-time, Pinkbear hopped up to her as gave her a kiss on the cheek. She paused, softened, and hugged him after holding him out for me to give him a goodnight kiss. I’m not sure what they were fighting about, but it seems to be over now. Story time is for mommy and Brontë and she will brook no interlopers.